In celebration of its 25th anniversary, the Fulton County Community Foundation (FCCF) is awarding pop-up grants to nonprofits in Fulton County. The most recent pop-up grants were given in support of libraries in Fulton County. 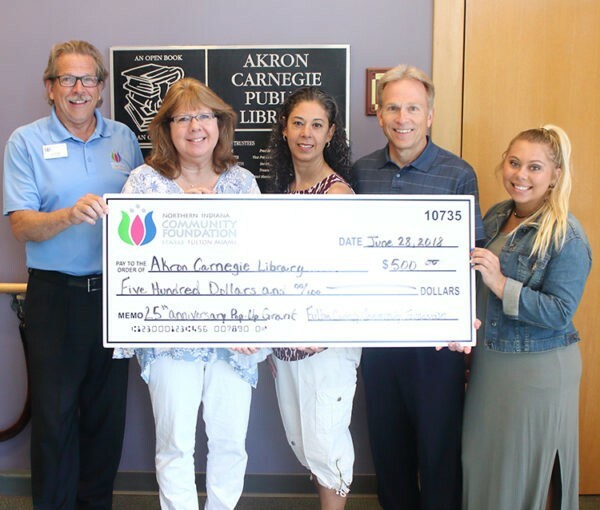 Libraries receiving pop-up grants include the Akron Carnegie Public Library and the three branches of the Fulton County Public Library located in Rochester, Fulton, and Leiters Ford. Each library received a grant of $500 to use as needed within the library. Along with giving to the libraries, the FCCF also granted to the Akron 4th of July Committee. The Committee received a grant of $1,000 to support the needs of the 4th of July Festival that takes place annually in Akron. Previous pop-up grants have supported the following: Psi Iota Xi, the Kewanna H.E.A.R.T. Fall Festival, Mill Creek Missionary Church Miracle Tree project, United Ministries Christmas baskets, Fulton County Shop with a Cop, and a free meal at Grace Church. The FCCF believes the organizations that received these grants are doing really great things in the community. 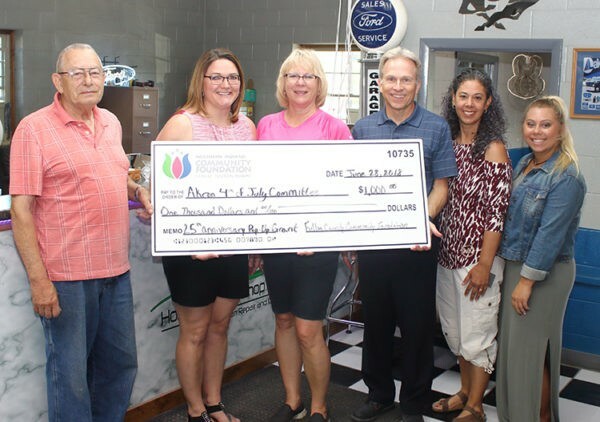 Through these grants, the FCCF hopes to further fulfill its mission of providing support to charitable nonprofits and projects in our community. Pictured from left: Community Foundation Executive Director Jay Albright, Library Director Janet Hawley, Foundation Board members Maria Baca and Kirk Robinson, and NICF intern Kennedy Niedbalski.